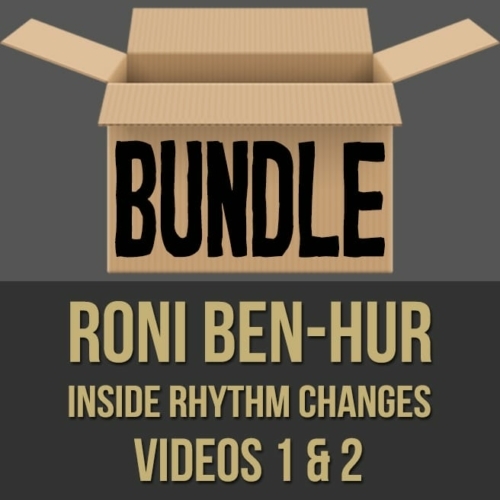 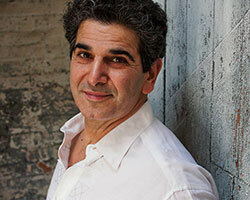 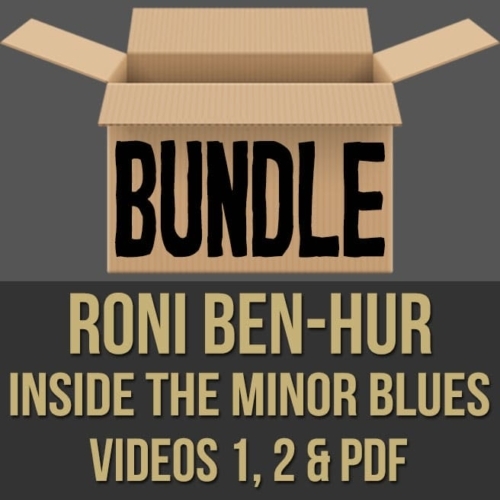 Description: This discounted bundle includes videos 1, 2 & the PDF from Roni Ben-Hur's "Inside the Minor Blues" series. 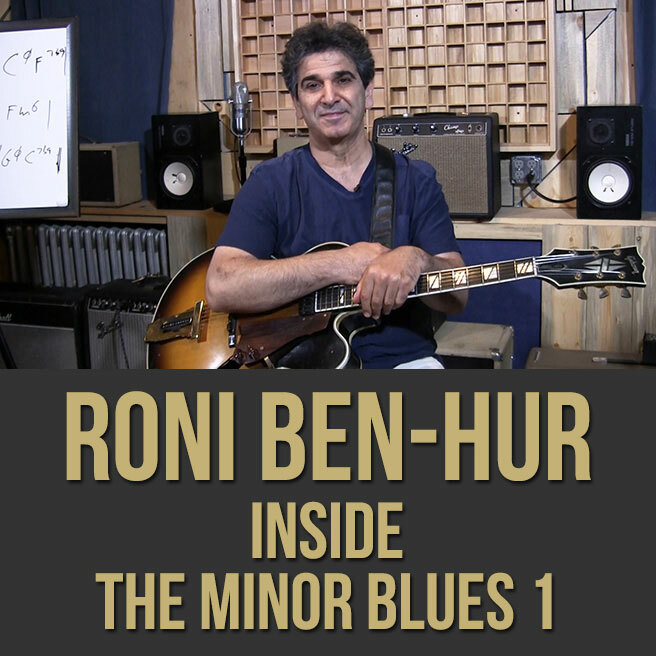 Video 1: In part one (1 of 2) of this "Inside the Minor Blues" jazz guitar lesson series, renowned guitarist Roni Ben-Hur shows you the ins and outs of minor tonalities. 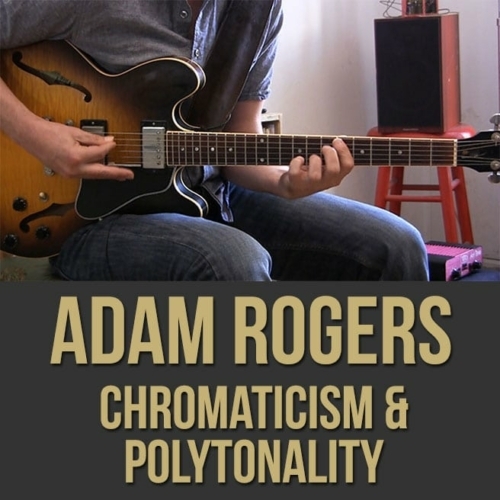 Roni systematically breaks down this standard form in order to show you the harmonic possibilities which can be used in your playing. 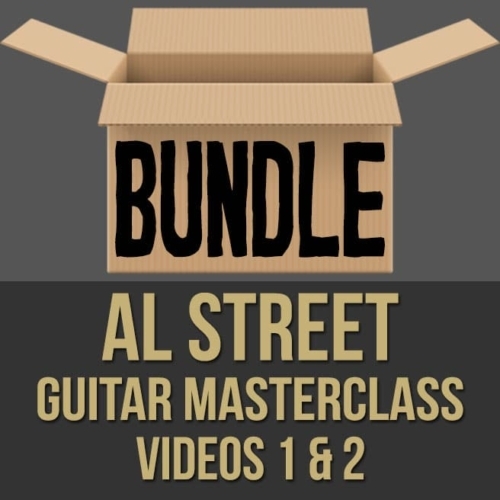 If you want to bolster your "minor sound" vocabulary, this jazz guitar masterclass series is for you! 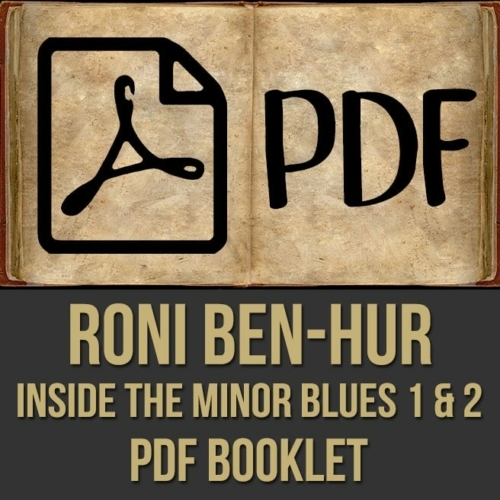 Topics Covered: Jazz Guitar, The Minor Blues, Harmonic Analysis, Chord Function, Minor Chord Types, Minor Tonality, Minor Scales, Barry Harris Concepts, Minor 6th Diminished Scale, Scales, Exercises, Arpeggios, etc. 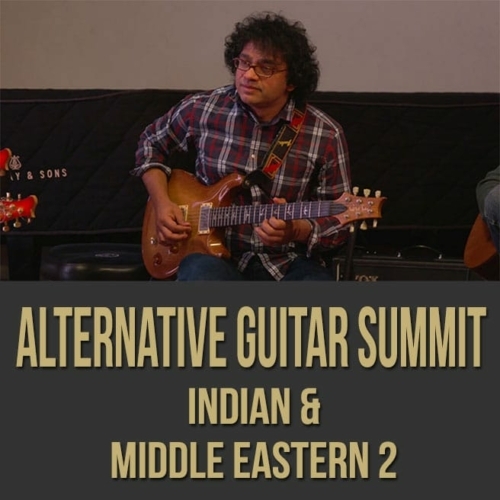 Video 2: In part two (2 of 2) of this "Inside the Minor Blues" jazz guitar lesson series, renowned guitarist Roni Ben-Hur shows you how to improvise fluently over minor tonalities. Roni systematically breaks down this standard form in order to show you the harmonic possibilities which can be used in your playing. 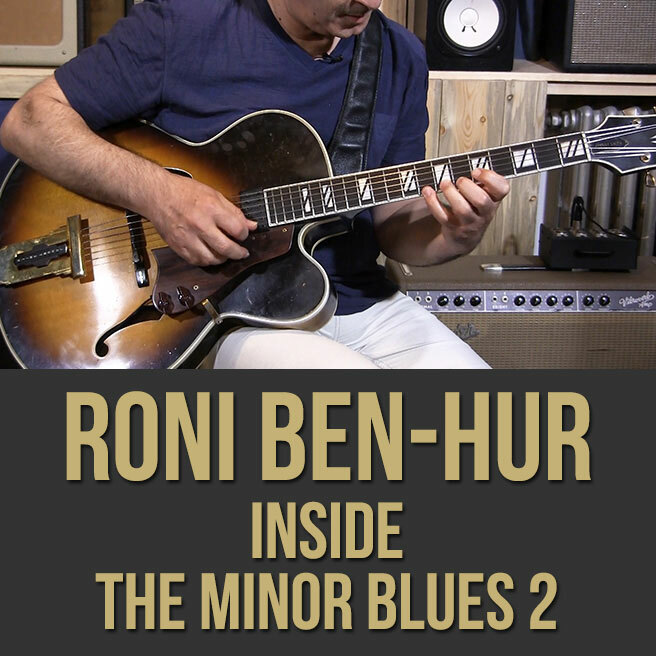 If you want to bolster your "minor sound" vocabulary, this jazz guitar masterclass series is for you! 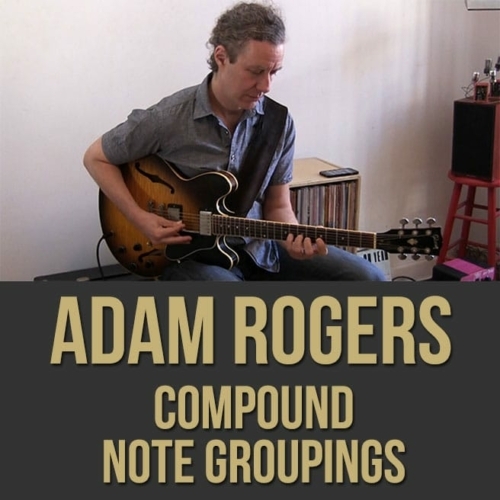 Topics Covered: Jazz Guitar, The Minor Blues, Color Notes, Tensions, Resolving, Augmented Usage, Improvisation, Chord Function, Minor Chord Types, Minor Tonality, Barry Harris Concepts, Exercises, Tritone Subs, The II dominant, etc.